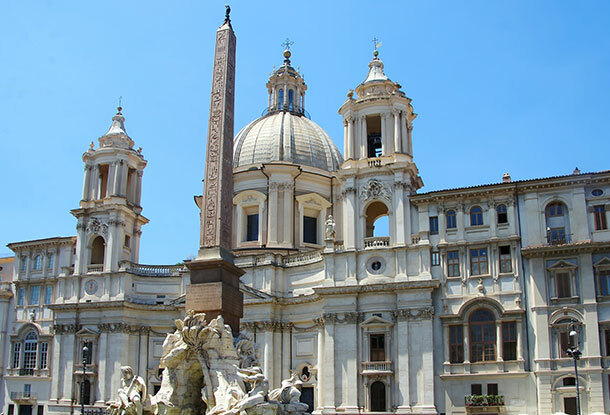 A visit to Rome is not complete without checking out its historical and spiritual sites. 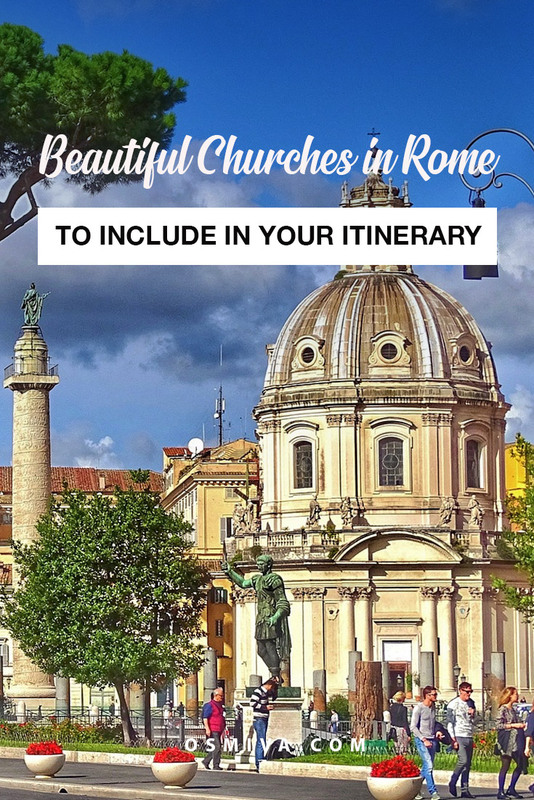 I’m pretty sure most of us will be looking for its famous and popular churches in Rome. Rome has been regarded as the centre of religion and pilgrimage in the world for many centuries. It has been tagged as ‘The Eternal City’ by ancient Roman poets and writers and by the modern world today. 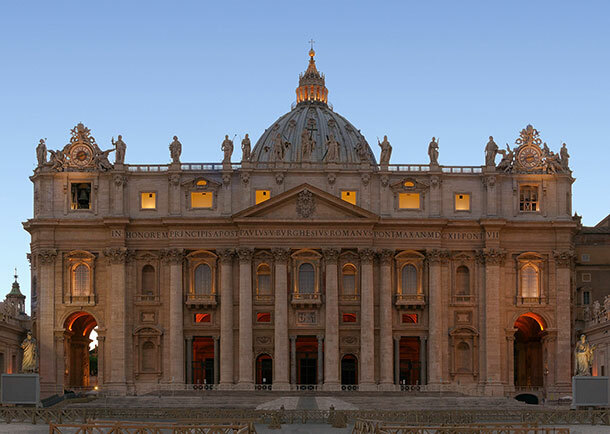 The city has been the home of the Roman Catholic Church and the Bishop of Rome, otherwise known as the Pope. It is one of the oldest cities in Europe with a history that spans more than two and a half thousand years. Rome has over 900 churches spread over the entire city, representing people’s faith and beliefs. Each of these church has its own history and treasures that are worth a look and a visit. But of course, a visit to all of these 900 churches are impossible especially to those who are just in the city for a couple of days. 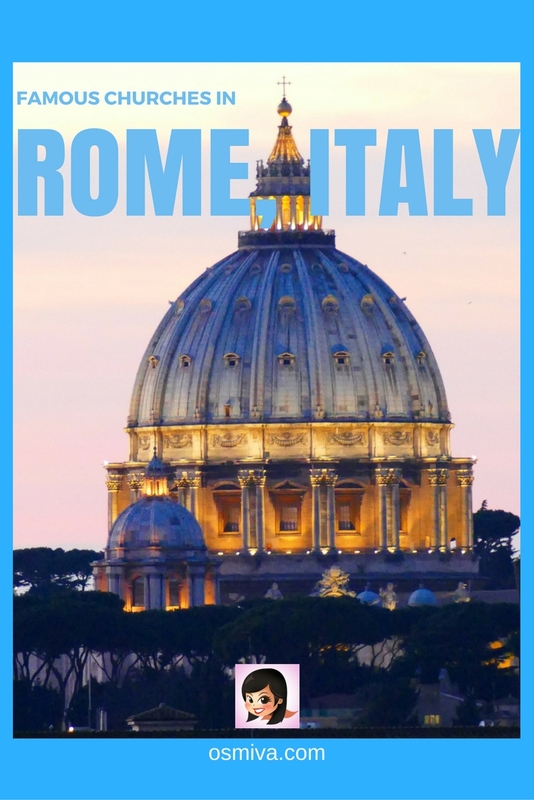 To help you with planning your itinerary, we have these Famous Churches in Rome, Italy that is popular for tourists visiting Rome. Consider including a visit to some of these churches and discover their magic. 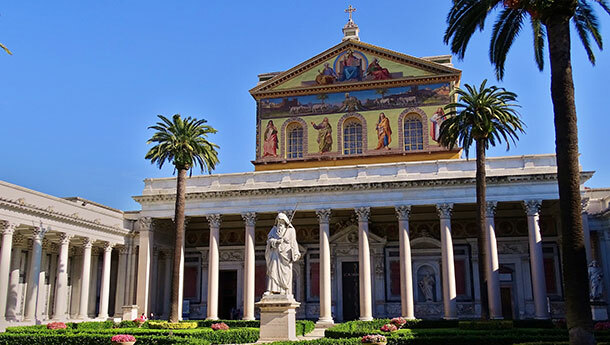 The Basilica di San Paolo Fuori le Mura otherwise known as St. Paul Outside the Walls, is the second largest church in Rome. It is also the third largest in the world. The church was built by Constantine in the 4th century on the site where St Paul was buried after being decapitated in AD 67. One of the highlights of the basilica is the papal portraits beneath the nave windows. Legend says that when there is no room for the next portrait of the pope on the wall, the world will fall. Basilica of Holy Cross in Jerusalem or the Santa Croce in Gerusalemme is one of the Seven Pilgrims Churches of Rome. Aside from the impressive artworks displayed inside the church, one of the main highlights that everyone should see is the fragments of the Holy Cross of Jesus. The fragments were found by St. Helena on Calvarium in Jerusalem. This is one of the Relics of the Passion of Jesus in the Chapel of Relics, which is located upstairs the left aisles. 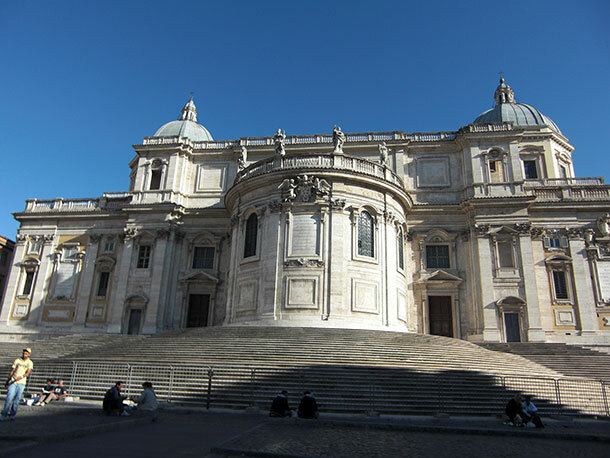 The Basilica of Santa Maria Maggiore is one of Rome’s four Patriarchal Basilicas. It was built under Sisto III in dedication to Mary’s motherhood. This church in Rome was believed to be constructed by the order of Pope Liberio who saw the Virgin Mary in his dreams. He indicated to construct the church through a snowfall that happened on the Esquilino Hill. The church has important chapels on the side aisles including the Sistine Chapel, Paoline Chapel, Cross Chapel, Saint Michael’s and Saint Peter in Chains Chapel, Cesi Chapel of the XVI century and the Sforza Chapel. The Basilica San Clemente is an ancient ruin and a religious site in Rome. It is where three churches have been built one above the other. Its magnificent frescoes and its twelfth-century mosaic of the Cross as the Tree of Life is one of the highlights of the church. Not to mention the art and history of the Christian Faith that can be learned in its halls. Basilica San Giovanni in Laterano has been the most important church in Christendom for a thousand years. 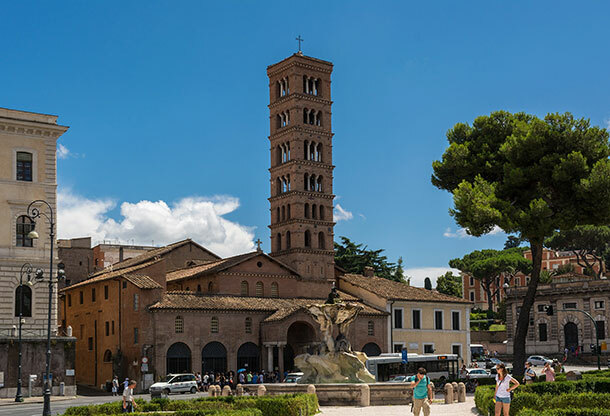 This famous church in Rome was the first Christian basilica built in the city. It is also the pope’s main place of worship until the late 14th century. The church houses the Renaissance tomb of Pope Martin V.
Aside from the amazing interior and the 15 7 m-high statues, the church is also the home of the monument of Pope Sylvester II. It is believed to sweat and creak when the death of a pope is imminent. The Church of Sant’Ignazio Di Loyola is considered to be one of the most important Jesuit church in Rome. It boasts of a Carlo Maderno facade and a celebrated trompe l’oeil ceiling fresco by Andrea Pozzo, which is a must-see. The use of perspective by the artist makes the mass of figures appears to float heavenwards past a series of soaring columns and arches. Among the many churches in Rome, Saint Peter’s Basilica is the most celebrated. The original basilica was built in 324 and has been the centre of Christiandom for more than a thousand years. Its magnificent structure is home to the Christian faith and houses its many relics, vestments and precious objects in the Treasure Rooms. The remains of the ancient Basilica, the tomb of St. Peter and those of the popes are buried below the church. The San Carlo alle Quattro Fontane or Church of Saint Charles at the Four Fountains is a Roman Catholic Church with an iconic masterpiece of Baroque architecture. This church is popularly known as San Carlino. It was built as part of a complex of monastic buildings on the Quirinal Hill for the Spanish Trinitarians. Its exterior is one of the main highlights of the church including the four fountains on each of the corners of the intersection, which the church was named for. San Luigi dei Francesi is a Roman Catholic minor basilica and titular church. It was dedicated to the Virgin Mary, to St. Denis the Areopagite and St. Louis IX, king of France. The Church of San Luigi dei Francesi is the home to the famed paintings of Caravaggio, a Renaissance master. The Calling of Saint Matthew, St. Matthew and the Angel and the Martyrdom of St. Matthew are also displayed inside the church. The San Pietro in Vincoli or St. Peter in Chains is a 5th-century church. It was built to house the chains that bound St Peter when he was imprisoned in the Carcere Mamertino. Aside from the chains, Michelangelo’s sculpture of Moses that adorns the incomplete tomb of Pope Julius II can also be seen in the church. Sant’Andrea della Valle is a basilica church in Rome where the religious order of the Theatines is seated. It is a titular church and a minor basilica. 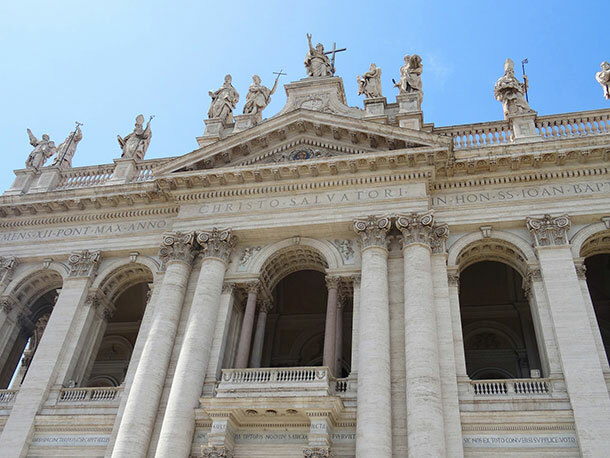 Aside from its Baroque facade, the basilica is also noted by the cenotaphs of Popes Pius II and Pius III. They were buried in the church which it houses and the fountain of Carlo Maderno. Santa Maria degli Angeli e Martiri, otherwise known as Santa Maria degli Angeli, is a unique Renaissance church in Rome. It is built inside the Roman walls of the Baths of Diocletian. The church has a unique exterior with its outer walls consist in part of the brick of the Baths of Diocletian. The Santa Maria del Popolo Church is famed for its wealthy Renaissance Art. The church was complete in the15th century. Works of Pinturicchio, Raphael, Carracci, Caravaggio and Bernini are displayed on the building’s walls and ceilings. The church is a must-visit because of its impressively decorated chapels. The Santa Maria in Aracoeli or St. Mary of the Altar of Heaven is built on the foundations of the ancient temple of the Roman goddess Juno. It is considered to be one of the oldest basilicas in Rome. Originally, the church was named as Santa Maria in Capitolio. It was later changed to Santa Maria in Ara coeli after a medieval legend was brought up. Aside from the large stairway that leads up the hill to the church’s main entrance, the church also houses exquisite artworks. Santa Maria in Cosmedin is regarded as one of the best examples of medieval ecclesiastic architecture. One of the main highlights in visiting the church is the famous Bocca Della Verità, or “Mouth of Truth” which is located in the portico of the church. Other elements to watch out for are the bishop’s chair, the baldachin and the medieval choir enclosure. 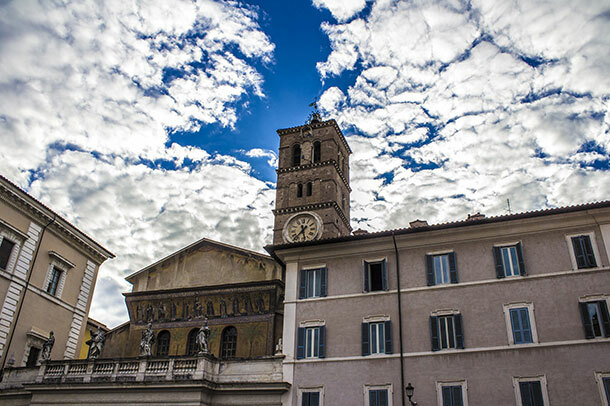 Santa Maria in Trastevere is one of the oldest churches in Rome. It is considered to be the finest of the churches in Trastevere. The church is best known for its magnificent mosaics that decorate the interior and exterior of the church. Its bellower is also notable which dates back in the twelfth century. The sculpture of San Antonio, located at the entrance of the left nave, is also known for granting wishes. The Church of Sant’Agnese is a 17th-century Baroque church with an overall layout of the ancient Stadium of Domitian (81-96 AD) in the first century AD. It is well-known for being a religious building with an extraordinary structure. The church is home to sculptures like The Two Holy Families by Domenico Guidi, the Death of Saint Alexius by Giovanni Francesco Rossi and the Martyrdom of Saint Emerentiana by Ercole Ferrata among others. It faces onto the Piazza Navona. The church houses the shrine for Saint Agnes, containing her skull. 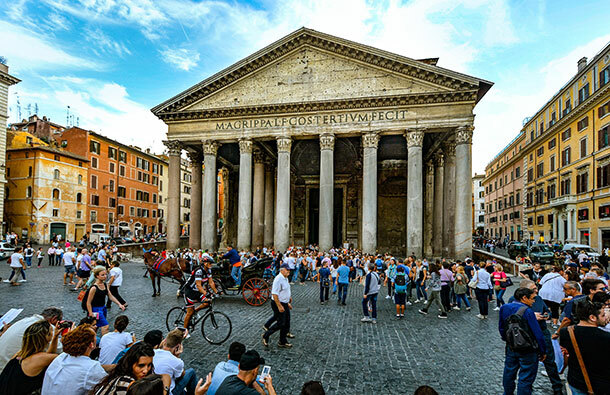 The Pantheon was created as a temple for all the pagan gods. It still stands today as a reminder of the great Roman Empire. The temple is notable for its 43-meter high dome. Which was once the largest dome in the world. It was converted into a church in 609 and now contains the tombs of the famous artist Raphael and of several Italian kings. If you liked this post, come and check out some interesting places in Europe as well: London’s tourist attractions, and landmarks in Spain. Looking to book tickets? Here are some tours that might interest you! Rome!!!!!!!! one of my top favorite place to visit soon!! !